Daniel Hudson Burnham, “Daniel Hudson Burnham,” Histories of the National Mall, accessed April 23, 2019, http://mallhistory.org/items/show/128. Architect Daniel Burnham was the Chairman of the Senate Park Commission, which created a comprehensive redesign of the National Mall and DC parks system in the early 1900s. At that time, he was also working for the Pennsylvania Railroad to design a new station. Burnham helped convince the Railroad to relocate their station from the Mall to a nearby site; the building he designed on that site is Union Station. In 1910, President Taft appointed Burnham Chairman of the US Commission on Fine Arts, which advised the Federal Government on the location and design of monuments like the Lincoln Memorial. 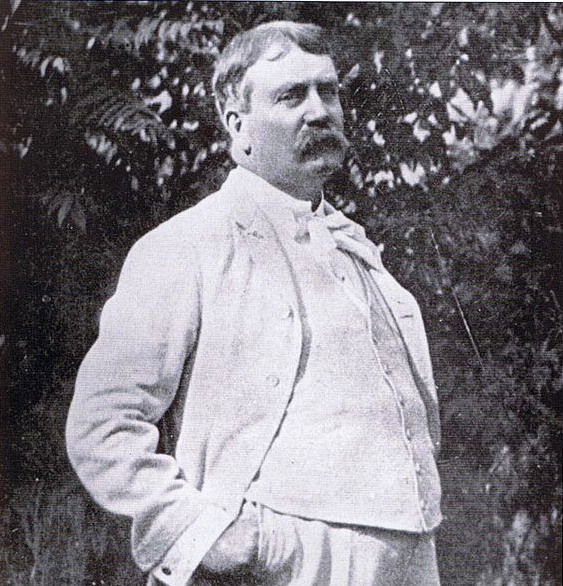 Daniel Burnham trained as an architect and in 1873 established his own firm with a partner, John W. Root. Their firm designed homes and public buildings, and became known for its high rise buildings, including one of the first American skyscrapers. Beginning in 1890, Burnham and Root became deeply involved in the planning and development for World's Columbian Exposition, also known as the Chicago World's Fair, which was to be held in 1893. Burnham was made the chief of construction and orchestrated much of the construction and design of the Exposition, especially after Root died in 1891. He brought in a number of prominent architects and designers, and the Exposition was a tremendous success. After he was appointed Chairman of the Senate Park Commission, Burnham selected Charles McKim and Augustus Saint-Gaudens to join the commission; both men had worked with Burnham on the Columbian Exposition. Following his work on the Senate Park Commission, Burnham worked on city design, becoming a major proponent of the "City Beautiful Movement." President Taft appointed him the chairman of the US Commission of Fine Arts in 1910, a group whose purpose was to advise the federal government on arts issues. Burnham died in 1912 in Germany during his seventh tour of Europe.